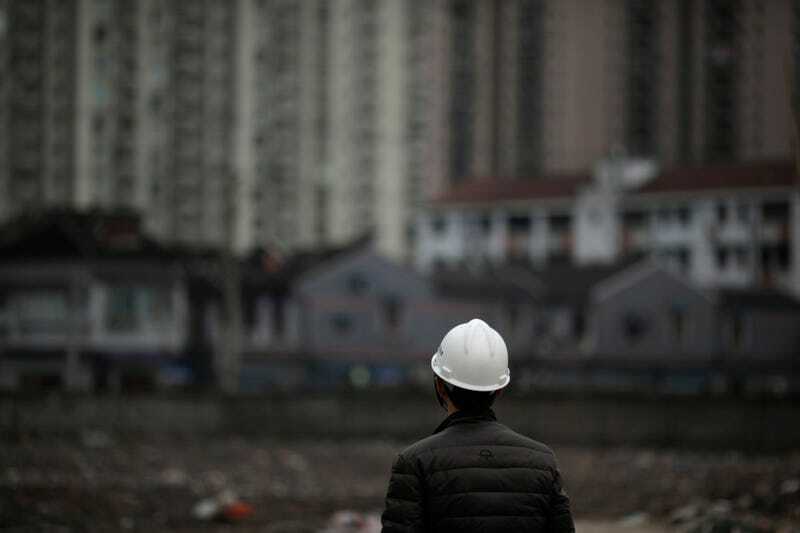 China’s “ghost cities,” where towns are built at high-speed but struggle to find residents, are a well-known phenomenon. But while there are lots of pictures of these uncanny cities online, it’s really difficult to figure out how many actually exist. That’s due in part to the fact that development has been so rapid and so large in China, with dozens of new cities popping up around the country in a span of years. But it’s also because it’s surprisingly tough to measure whether a seemingly empty city is really a “ghost,” or whether it’s a seasonal development, or if other factors measure in. So how do you “see” a ghost city? Some researches have counted how many lights go on at night. Others have relied on satellite photos, or equations comparing housing supply and demand. But none of those methods are really very scientific, says a team of scientists from Peking University and Baidu’s Big Data Lab. Even looking at a city’s housing statistics can only tell you about “the average level of ‘ghost’ in each city,” rather than specifics. In a new paper highlighted by MIT Technology Review, they explain how they developed a far more reliable way to measure ghost cities: the data that each of us generate in our homes every day by using the internet. Over the course of seven months, they mined billions of pieces of positioning data from Baidu every day, keeping close track of how seasonal migration affected the residence rates of each city so they could exclude resort towns from being called ghost cities. By looking at internet usage, they were able to identify an incredibly crisp demarcation line for vacancy—and, really for the first time, paint a realistic picture of what ghost cities really look like (and where they are). On their map, they locate 20 ghost cities, although MIT says the identified more than more than 50, but aren’t specifying them all because of how they could affect real estate in these cities. But they also revealed that others aren’t exactly ghosts. Take two supposed ghost cities: Rushan and Kangbashi. Rushan is a fast-growing city on the coastline. Kangbashi is a mining town, a.k.a. Ordos, with explosive development that’s often held up as the prototypical Chinese ghost city. Both have large swatches of vacant housing, and they’ve both been described as ghost towns. Ordos by Adam Cohn/Flickr CC. But a closer look at vacancy patterns, right down to the hour in each city, reveals something else: That Rushan is actually fully occupied during one season, and during holidays, but then it empties out in the winter and during the week. The explanation is simple: It’s not a ghost town, it’s a resort town. We generate data nearly every second: While we work, talk, exercise, even sleep. As data scientists get better at parsing the absolutely gigantic mountains of data about our lives, we’re seeing a new form of research develop—one where broad trends in human civilization can be quantified just by looking at how, when, and where we use the internet.